Conveniently located near the airport, railway station and the Palexpo Exhibition Centre, not quite 15 minutes from the centre of Geneva, Moevenpick Hotel Geneva is the perfect starting point for excursions around Lake Geneva, and the ideal venue for business meetings. This 350-room five star business hotel offers a modern infrastructure and a discreet elegance, assuring guests of an enjoyable stay. It is a paradise for gourmets, with 4 restaurants, and perfect for meetings and seminar. Geneva Hotels have been divided in 3 main categories : Luxury Hotels, Charming Hotels, Cheap Hotels, Of course the price and the level of service and comfort depend on the category - If you want to see all hotels listed please select your prefered hotels category and see our exclusive hotels rates - We wish you a pleasant stay. 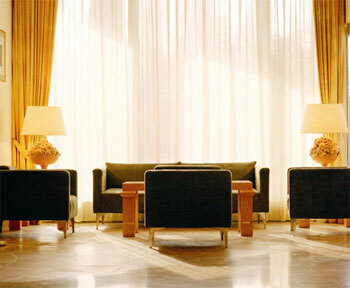 This website is dedicated to Geneva and its hotels - it also provides information about the city itself and the tours opportunities departing from the city - The Movenpick Hotel is one of the most exclusive properties selected - Room rates have been negociated and should be very competitive. We hope that this Geneva Luxury Hotel Website will help you in planning your trip - Thank you for visiting Movenpick Hotel website page : Booking and online reviews.